Even though my kids are older now (ages 6 and 8), they still love to play with play dough. I try to have a batch made up all the time so they can play anytime they want. 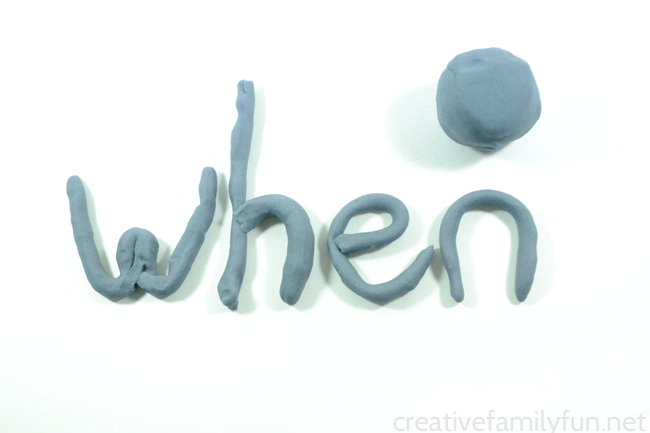 So, it seemed the logical conclusion to use play dough to practice spelling words. 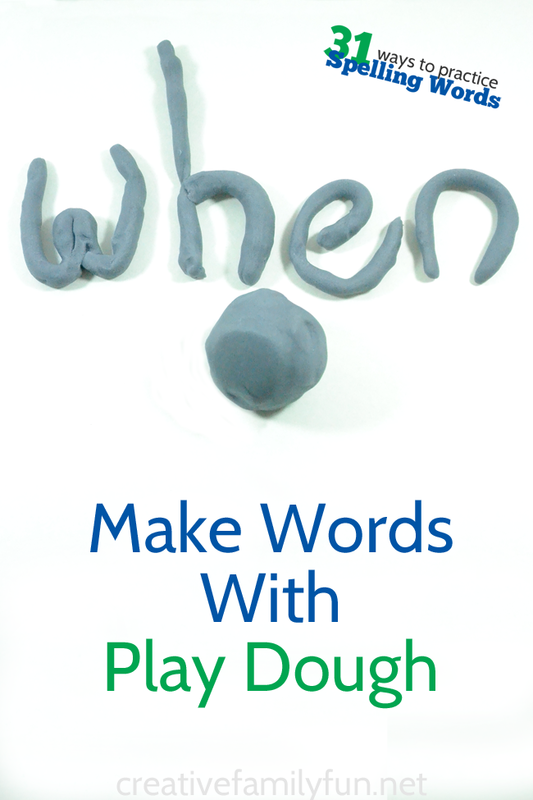 Sensory play and spelling practice all tied into one when you create Play Dough Spelling Words. You need a batch of play dough and a list of spelling words. You can use store-bough play dough or make your own batch. I love to use the Kool-Aid Dyed Play Dough recipe from Mama Miss. That’s what we used for this batch – using grape Kool-Aid. The Best-Ever No-Cook Play Dough recipe from The Imagination Tree is another great choice for this activity. It’s easy to make and only takes four minutes. Or, you can check out my Play Dough Pinterest board for many more fun play dough recipes. Roll the play dough into snakes and form them into letters. Make a word, then roll it all back up into a ball. Make all the words on your list or just a segment of the words. Can you figure out a way to make the letters without starting with snakes? Can you make tiny letters? How about huge letters? How many words can you make before you run out of play dough? 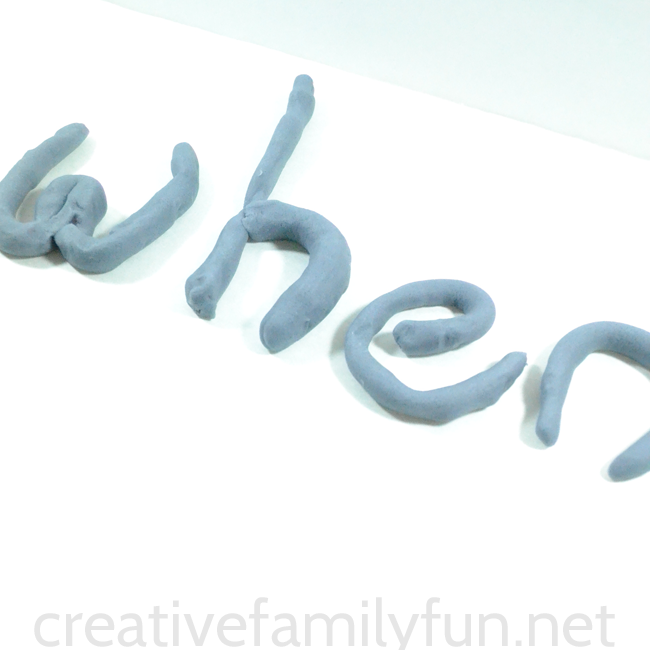 It’s so easy to combine play with learning, especially when you create Play Dough Spelling Words! You can purchase a printable form of this book for $7.50 The book is designed to print and turn into a half-page size booklet. It’s perfect to keep at your homework station. 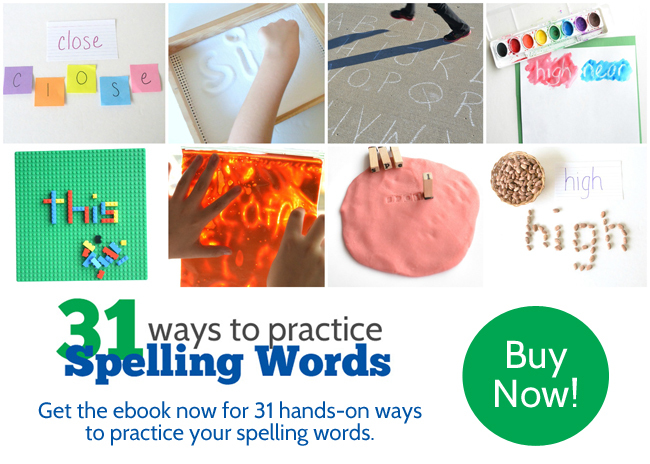 Your kids can flip through and find a fun way to practice their spelling words. The ideas will be convenient and ready to use. No need to turn on the computer every day for ideas. Click here for my sales page or on the image below to purchase for $7.50.